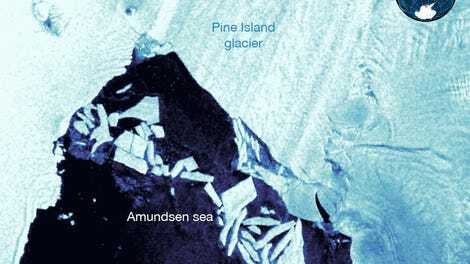 An aerial view of Thwaites Glacier. The data revealed yawning caverns under the ice, the biggest of which is the aforementioned half-Manhattan sized gap. That cavity is big enough to hold 14 billion tons of ice or 5.6 million Olympic-sized swimming pools. 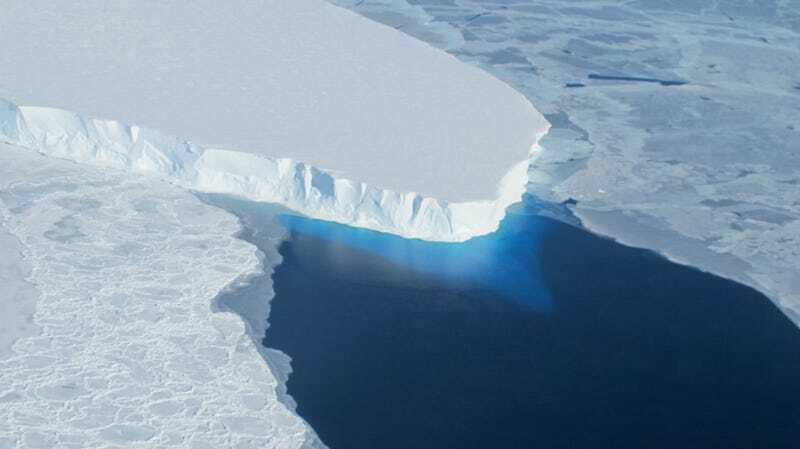 Instead, it’s allowing warm water to get up under the glacier and speed along its retreat. Oh, and it could be growing.